Hackers use their knowledge and their wits to maintain their autonomy. Some take the money and run. (We must live with our compromises.) Some refuse to compromise. (We live as best we can.) All too often those of us who take one of these paths resent those who take the other. One lot resents the prosperity it lacks, the other resents the liberty it lacks to hack away at the world freely. What eludes the hacker class is a more abstract expression of our interests as a class, and of how this interest may meet those of others in the world. Everywhere abstraction reigns, abstraction made concrete. Everywhere abstraction's straight lines and pure curves order matters along complex but efficient vectors. But where education teaches what one may produce with an abstraction, the knowledge most useful for the hacker class is of how abstractions are themselves produced. Deleuze: "Abstractions explain nothing, they themselves have to be explained." Abstraction is always an abstraction of nature, a process that creates nature's double, a second nature, a space of human existence in which collective life dwells among its own products and comes to take the environment it produces to be natural. The time is past due when hackers must come together with workers and farmers--with all of the producers of the world--to liberate productive and inventive resources from the myth of scarcity. The time is past due for new form of association to be created that can steer the world away from its destruction through commodified exploitation. The greatest hacks of our time may turn out to be organizing free collective expression, so that from this time on, abstraction serves the people, rather than the people serving the ruling class. That the vectoralist class has replaced capital as the dominant exploiting class can be seen in the form that the leading corporations take. These firms divest themselves of their productive capacity, as this is no longer a source of power. They rely on a competing mass of capitalist contractors for the manufacture of their products. Their power lies in monopolizing intellectual property--patents, copyrights and trademarks--and the means of reproducing their value--the vectors of communication. The privatization of information becomes the dominant, rather than a subsidiary, aspect of commodified life. The so-called “middle class” achieve their privileged access to consumption and security through education, in which they are obliged to invest a substantial part of their income, acquiring as their property a degree which represents the sorry fact that “the candidate can tolerate boredom and knows how to follow rules.”* But most remain workers, even though they grep information rather than pick cotton or bend metal. They work in factories, but are trained to think of them as offices. They take home wages, but are trained to think of it as a salary. They wear a uniform, but are trained to think of it as a suit. The only difference is that education has taught them to give different names to the instruments of exploitation, and to despise those of their own class who name them differently. think about this relates to tech workers? Hackers may lack an understanding of the different relationship workers have to education, and may fall for the elitist and hierarchical culture of education, which merely reinforces its scarcity and its economic value. 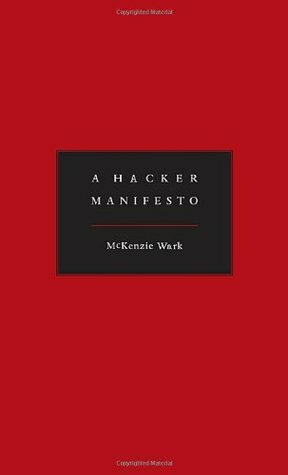 The hacker may be duped by the blandishments of prestige and put virtuality in the service of conformity, professional elitism in place of collective experience, and depart from the emergent culture of the hacker class. This happens when hackers make a fetish of what their education represents, rather than expressing themselves through knowledge. [...] Those offered the liberty of the pursuit of knowledge in itself still serve the commodification of education, in that they become an advertisement for the institution that offers this freedom in exchange for the enhancement of its prestige and global marketing power.